The 16th edition of the WCO-IOF-ESCEO Congress was a huge success!! 3817 delegates took part in the most exciting meeting in the field of osteoporosis, osteoarthritis, musculoskeletal diseases and sarcopenia. The Scientific Advisory Committee, co-chaired by Professor René Rizzoli and Professor Cyrus Cooper, had an extremely difficult task, to select oral presentations, among the 1259 submitted abstracts of the highest quality. The WCO-IOF-ESCEO is the congress in the world where the highest number of Prizes, Fellowships, Scholarships and Awards, 598 for this 2016 edition, were distributed. The WCO-IOF-ESCEO Congress will be happy to welcome you next in Florence on March 23-26, 2017 at the Fortezza da Basso and in Krakow on April 19-22, 2018 at the ICE Congress Centre. Thank you for your attendance and your loyalty to the WCO-IOF-ESCEO Congress! The congress chairmen are honoured to announce that more than 1.250 abstracts were submitted for this 2016 edition of the WCO-IOF-ESCEO! This extraordinary number of abstracts is the largest ever recorded since the beginning of the Congress. You will also receive the Abstract Book on a USB card during the WCO-IOF-ESCEO Congress that will be held at the Palacio de Ferias y Congresos in Malaga, Spain on April 14-17, 2016. 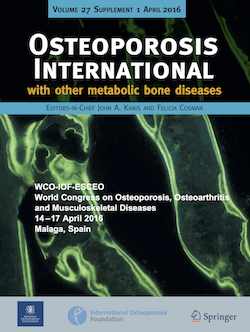 The Abstract Book will be published as a supplement in the Volume 27 Supplement 1 of Osteoporosis International in April, 2016. Applications to organize one-hour non-sponsored symposium at the WCO-IOF-ESCEO Congress 2016 in Malaga are closed but you can already apply for the 2017 edition of the Congress that will be held at the Fortezza da Basso in Florence on March 23-26, 2017. Any member may apply for endorsement, using the application form. Applications are considered by a panel chaired by the Scientific Chairs of the Congress, and endorsement is granted according to the likely topicality and quality of the workshop. A position paper of the European Society for Clinical and Economical Aspects of Osteoporosis, Osteoarthritis and Musculo-Skeletal Diseases (ESCEO) and the International Osteoporosis and Other Skeletal Diseases Foundation (IOF). 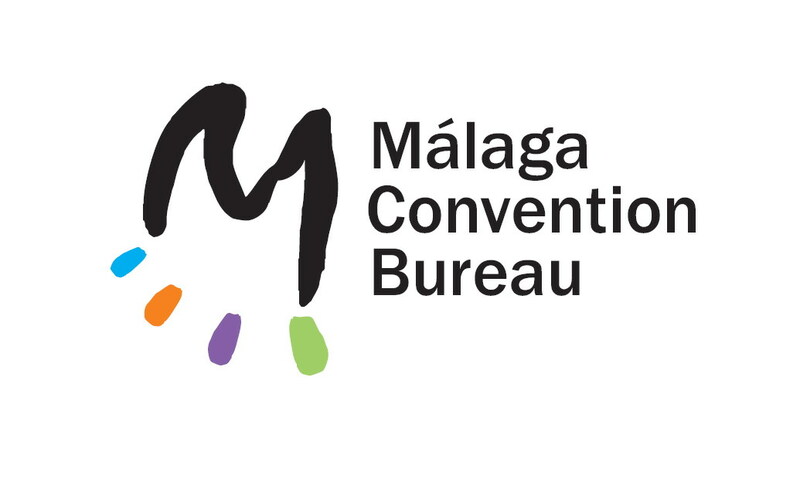 The WCO-IOF-ESCEO Malaga 2016 Congress was granted 15 European CME credits (ECMEC) by the European Accreditation Council for Continuing Medical Education (EACCME). The WCO-IOF-ESCEO Malaga 2016 Congress was granted 3 Belgian CME credits (INAMI/RIZIV) under the numbers 15025422, 15025901, 15025420 in category 6 “Ethics & Economy” and 12 Belgian CME credits under the number 15024840 in category 4 "International meeting". Italian Accreditation is in process.